Groups in Golden & Area A can benefit from reviewing the following documents and integrating the finding, guidance and goals into their organization's strategic plans. Intended as a long-term initiative, Vital Signs is a community check-up that measures our quality of life in the Town of Golden (Golden) & Columbia Shuswap Regional District Electoral Area ‘A’ (Area A). Vital Signs builds on partnerships with a broad range of community members who contributed their skills and expertise. In 2011, many residents were actively engaged in the development and grading of this report and over 300 residents completed an opionionaire, which solicited feedback and helped to set community priorities. 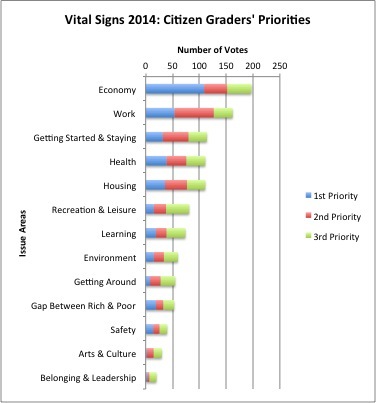 In 2014, nearly 400 Citizen Graders' provider their perspectives to our community's priorities and outlined ideas for future improvements. This input is used by granting bodies, like the Golden & District Community Foundation and the Town of Golden's Community Funds Local Select Committee (CFLSC) as they award over $300,000 each year to community projects; while community organizations use Vital Signs data to design better, more effective projects and programs. • Build community capacity by sharing information. While "Economy" and "Work" remain at the top, Golden & Area A's unique "Getting Started & Staying" issue area bumped "Health" from 3rd spot. 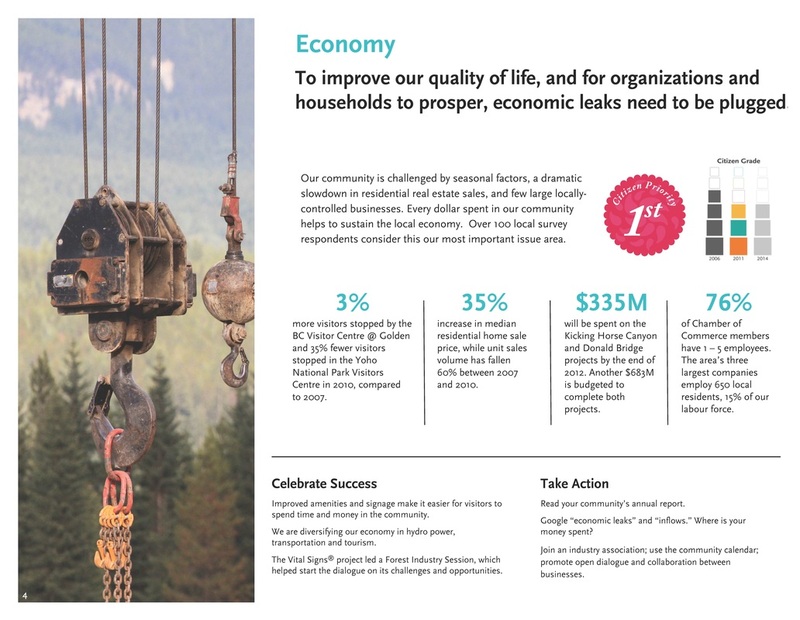 All other Vital Signs communities just use the term "Getting Started," but Golden's Steering Committee believed that adding "& Staying" will help the community focus on individuals and families who are struggling to stay in the community, but employment and services may pull them elsewhere. The GoldenLoom.ca project, a series of "Seniors-focused" meeting and subsequent Age Friendly Community Plan creation, put more community-wide emphasis on the challenges that the local older population encounters and ways to address them holistically. For 2014, the Issue Area of "Recreation & Leisure" was added in Golden & Area A's Vital Signs Report better address the large focus the community has on personal time - both indoors and out. goals, objectives and policies to implement the future vision for Golden." 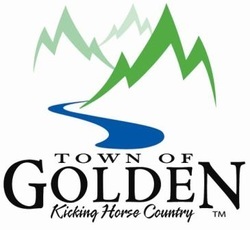 - Town of Golden's Guiding Principles, 2008. Community Engagement: The creation of the OCP involved a review of other community consultations and studies; the development, distribution and analysis of a public questionaire; a public forum; and the formation of a Steering Committee. "The State of the Basin initiative is testing a model for monitoring and reporting on social, environmental, economic, and cultural indicators and trends in the Columbia Basin Trust area." "By providing a sample of credible, locally-relevant information, Basin residents, communities, and organizations can learn more about the area and have access to up-to-date local information for use in planning and decision-making."